Should You Protect Your No Claims Discount to Save Money? Your no claims discount or bonus is one of the most important parts of your whole car insurance policy. This is something you build up over the years in order to reduce your premium gradually. Of course, if you then have an accident and your insurance company can’t claim back the repair bill from someone else then your no claims discount will be affected. All of this means that you might start to get nervous when you finally get the full 5 years no claims discount on your policy. You certainly don’t want to see it drop back again because of an accident, causing your premium to rise. However, the other way of looking at it is that if you don’t make a claim you will be paying out for protecting the no claims bonus without getting any benefit for it. Equally, a lot of motorists confirm that even when their no claims discount was protected their premium was increased in the year following a claim. So should you protect it or not? At the end of the day, it comes down to a personal decision but the following are some issues to take into account. Clearly, the biggest factor in helping you decide whether to protect your discount is the financial issue. For example, would paying to protect your no claims discount for a few years cost you more than simply accepting the hit if you had a claim and losing some of the discount? 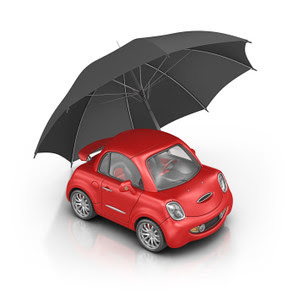 The idea of insurance is that it gives you some peace of mind and this aspect of car insurance works in the same way. What that means is that you need to think about whether you would be happy to pay for the knowledge that your discount is protected. Try getting a few quotes with it protected and some where it isn’t protected, to get a feel for how much this will cost you. If your no claims discount isn’t protected then an accident which your insurance company can’t claim back the costs of from someone will typically reduce the discount by a couple of years. This means that if you have the maximum 5 years then it will usually drop to 3 years, before you start building it back up again. So what about the effect of claiming while this bonus is protected? There is no simple answer to this, as different insurance companies work in different ways. For instance, you might be protected in the case of one accident per year or the protection might range to more than one claim a year. Some people complain of their insurance premium rising after an accident even when the no claims bonus was protected. What makes this more difficult to work out accurately is that insurance premiums in general can often rise (and very occasionally fall), so it is difficult to know if any change was due to your own circumstances or a general price change. However, it is generally accepted that insurance companies can increase your premium because of a claim on your record, even if your no claims discount is protected. Case studies suggest that the financial difference between protecting and not protecting isn’t all that high following a claim. This may vary from one case to another and an unprotected no claims discount would definitely be a bad idea if you had a few accidents in one year. The best piece of advice is to check out the figures in your case and decide how important an extra degree of peace of mind is to you.